During July, join us for a Beginning Class at 6:30 pm and an Intermediate class at 7:10 pm on Saturday night. Then stick around for our Ballroom Dance which is held every Saturday from 8-11 P.M. on the BEST dance floor in Kansas City. The music is great and is a mix of Ballroom, Latin, & Swing! The cost for the class is only $10/person and includes the dance! Walters Dance Center has been in business for 40 years, and has one of the BEST dance floors in Kansas City! It is located at 5023 Minnesota (50th Terr & State Ave.) You will find pictures, current class & dance schedule, and directions, on the Walters web site. For more information call (913) 287-3355 or (816) 665-6275. You will find our email address and web site by clicking on &apos;Saturday Night Ballroom Dance at Walters&apos; above. Ballroom Dance every Saturday from 8-11 P.M. on the BEST dance floor in Kansas City. The music is great and is a mix of Ballroom, Latin, & Swing! During July, join us for a Beginning Waltz Class at 6:30 pm and a Beginning/Intermediate Waltz class at 7:10 pm on Saturday night. The cost of the class is only $10/person, and includes the dance. Only $7/person for the dance only! This class is specifically designed for Beginning Ballroom Dancers and couples who want to learn to dance for their wedding reception. Beginners are welcome and partners are not needed! The class is limited in number to allow for more personal attention. The cost is only $59/person for the whole 6 week Series! 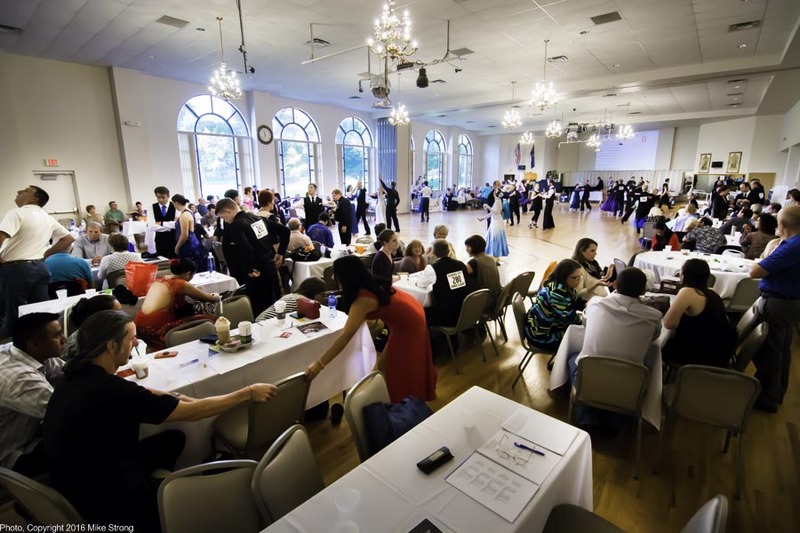 As an added bonus, at the end of the series, you will receive 6 FREE PASSES to Walters Dance Center Saturday Night Beginning Ballroom Class & our Saturday Night Ballroom Dance. Pre-registration is required to guarantee a spot in the class. The class is held at Walters Dance Center, and is taught by Mark Harris. Mark is Certified by NADTA & DVITA as a Professional Ballroom Dance Instructor. To register for the class, or if you have any questions contact Mark Harris at (816) 665-6275. Try out the class for FREE! Details and Passes are available on the studio web site. Walters Dance Center has been in business for 40 years, and has one of the BEST dance floors in Kansas City! It is located at 5023 Minnesota (50th Terr & State Ave.) For more information, updates, current class schedule, directions, go to the Walters web site or call (913) 287-3355 or (816) 665-6275. You will find our email address and web site by clicking on &apos;Intermediate Tango&apos; above. Try out the class for FREE! Passes are available on the studio web site. Walters Dance Center has been in business for 40 years, and has one of the BEST dance floors in Kansas City! It is located at 5023 Minnesota (50th Terr & State Ave.) For more information, updates, current class schedule, directions, go to the Walters web site or call (913) 287-3355 or (816) 665-6275. You will find our email address and web site by clicking on &apos;Beginning Quickstep&apos; above. Monday: 7 - 9 p.m. Try out the class for FREE! Passes are available on the studio web site. No contracts or &apos;Programs&apos;. Walters Dance Center has been in business for 40 years, and has one of the BEST dance floors in Kansas City! It is located at 5023 Minnesota (50th Terr & State Ave.) For more information, updates, current class schedule, directions, go to the Walters web site or call (913) 287-3355 or (816) 665-6275. You will find our email address and web site by clicking on &apos;Beginning Quickstep&apos; above.